Navy favourite. My all-time favourite is the bag TA3000 from Schuhmacher in navy suede. A practical magnetic closure with inner zipper keeps your mobile phone, money and keys safe. 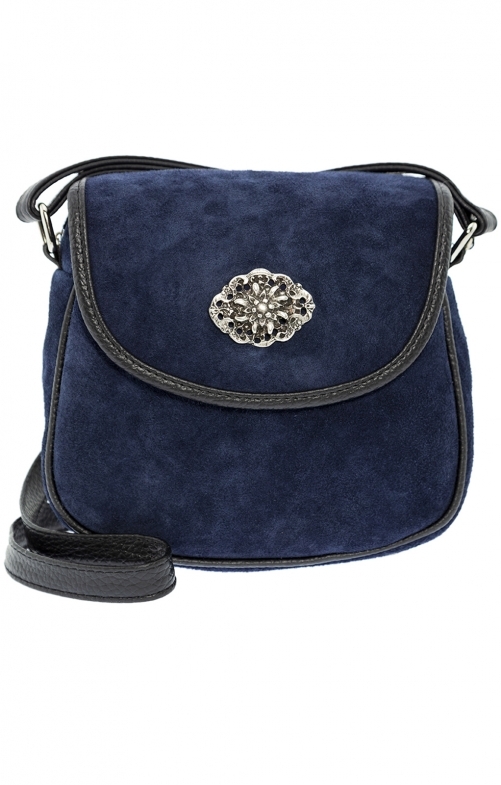 The timeless shoulder bag goes perfectly with a blue dirndl or jeans. Decorative piping and an attractive edelweiss application made of metal make them an eye-catcher not only for one season.